This Easter, Mr. Easter arrives at Mare West and spreads joy daily, from April 20 to 27! Open stores on Sunday April 21 for Easter shopping, walks and fun with Mr. Easter! Easter is coming up and along comes the fantastic Mr. Easter to spread joy and smiles at Mare West, from April 20 to 27! Easter egg hunting, painting, art creations, face painting, dancing, team playing, board games, treats, balloons, magic tricks and bubble shows are just a few of the events that will take place at Mare West, entertaining young visitors.  In a specially designed area, Mr. Easter will spread smiles and stimulate kids’ imagination with exciting activities, specially designed for them. Also, at Mare West’s model playground, the children can enjoy free play until dark. 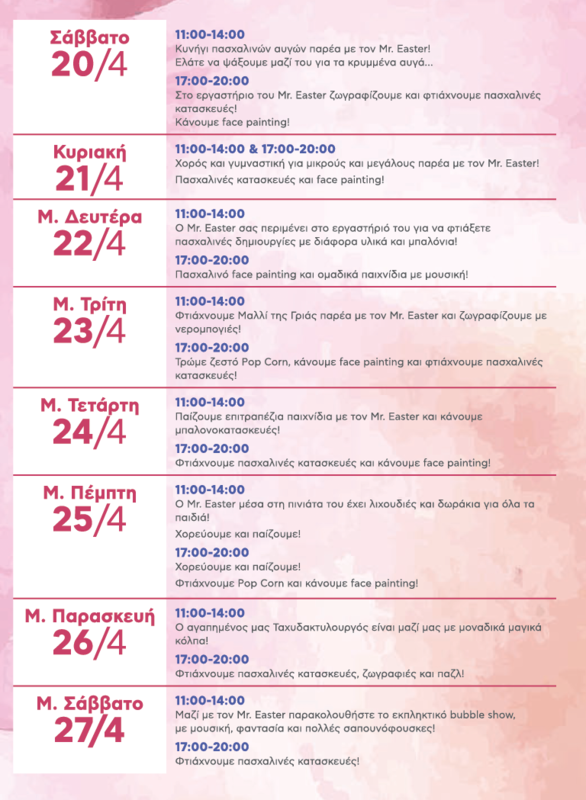 At the same time, parents, godparent and other visitors will have the opportunity to enjoy their walk in a spring environment by the sea and do their Easter shopping also on Sunday April 21, when the stores will be open from 11 a.m to 7 p.m. 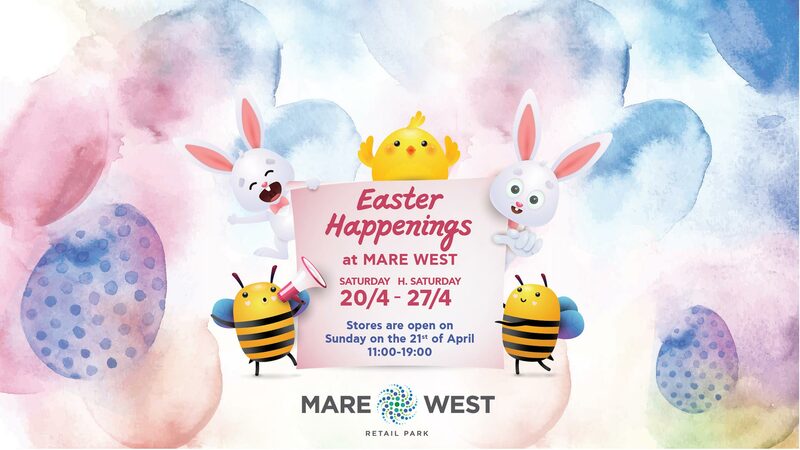 This Easter, don’t go too far… the place to shop and have fun is Mare West!